The journal Clinical Microbiology Reviews reported that tea tree oil is a natural remedy for many inflammatory conditions caused by infections. Compounds in tea tree oil have been used to treat coughs and colds. The review stated that vaporized tea tree oil can kill off various Strep. strains of bacteria when inhaled. (32). I have small small pimples on my scalp. Can I use tea tree oil with olive oil. Thanks. Will it help the pain of the shingles? The shingles are pretty much healed but the pain is in full force! There is a study showing that geranium oil is extremely useful for reducing pain due to shingles. Lavender EO also has analgesic properties as well as clove oil. You can try tea tree oil or some of these EOs to reduce pain and inflammation. You can mix several of them for added effect. It’s hard to know if it helps you specifically as every person is different and results vary, but it worth trying. I have also used tea tree oil on my dog to combat skin conditions such as Hot Spots and allergic dermatitis. It is most effective. I have a 28 yr. old special needs son who has severe athletic foot with peeling on bottom of foot & near his ankles – He is allergic to anti-botics & anti-bacteria meds even creams that have ketonaloze in it – I hope tree tea oil can help him. Thank you. Test first on a small skin patch to see how the skin reacts and don’t forget to dilute with a carrier oil. Good luck! How and where can you get tree oil. 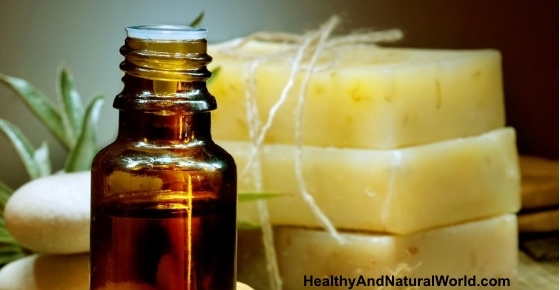 You can buy tea tree oil in some supermarkets, pharmacies, health stores or online.